Heat oven to 375ºF. 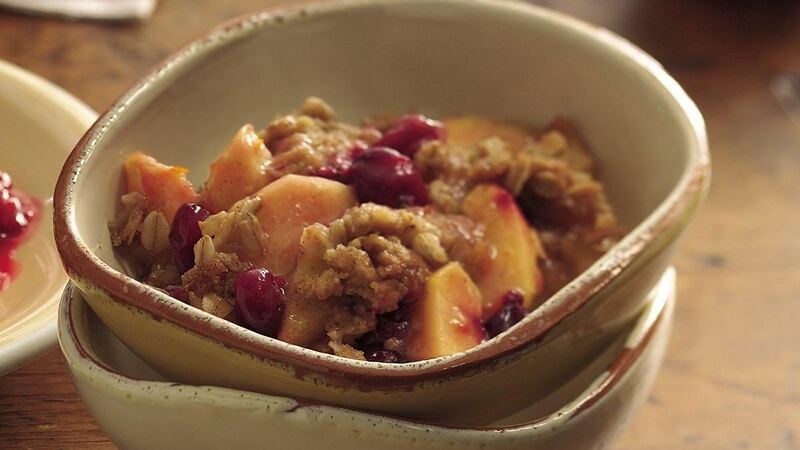 Toss apples, cranberries, orange peel and granulated sugar in large bowl. Mix remaining ingredients in medium bowl until crumbly. Press 1 cup of the Fibre 1* and oat mixture in ungreased square baking dish, 8x8x2 inches. Spread apple mixture over top. Sprinkle with remaining oat mixture. Bake 40 to 45 minutes or until golden brown and apple mixture is bubbly around edges. Cool 30 minutes. Serve warm.